Spotify breaks into the top of the music streaming apps in both Apple iTunes and Google Play. 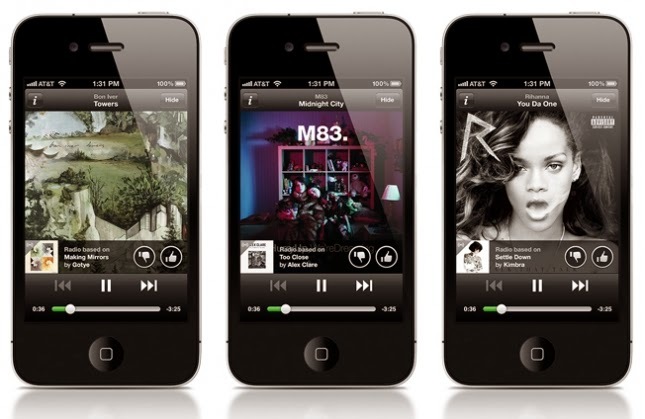 The popular streaming application now has 40 million users in 57 markets worldwide and 30 million songs on catalogue. Among all free and paid apps, Spotify is the only music app that made it to the top ten. Spotify gives users an unbeatable music experience with its amazing audio streaming quality of up to 320kbps and its expansive OPM and global library with over 30 million songs. Spotify also makes music sharing more fun. With its amazing music discovery tool, users can check out what their Facebook friends and favorite singers are listening to, create playlists and share it to their followers. Since Spotify’s launch in the Philippines last April with exclusive telco partner Globe Telecom, customers were able to enjoy music streaming on mobile and tablets for free with a GoSURF data plan. To date, over 90% of Globe GoSURF customers use and listen to music on Spotify on their phones. “Since we launched GoSURF and Spotify, we have received overwhelming feedback from customers as we provide them an enriching mobile experience with access to browsing and music content in one innovative offer,” shares Globe VP for Mobile Data Services Jenny Echevarria. All Globe customers registered to GoSURF get premium access to all the music they want free through Spotify, alongside access to the internet for sending e-mails, updating social networks, sharing photos or playing games. Streaming Spotify is completely free and won’t eat up a GoSURF data plan’s mobile internet allocation. So whether you’re a social media spectator –busy checking everyone else’s status, posts, selfies, or a social media butterfly- constantly posting hilarious videos, quizzes for your friends to take, and responding to comments in a flash, GoSURF has the right data plan that fits your digital lifestyle. Stay online for as low as P10 for 10 MB of data valid for 1 day. If you want to stay online longer, you can register to GoSURF299 with 700MB of data for 30 days plus free Spotify Premium. Spotify Premium lets you listen to music without any advertisements, stream music with the highest quality audio and download music using offline mode so you can listen to songs even without an internet connection or WiFi! Make your world sound wonderful with GoSURF and Spotify. Prepaid subscribers can register to GoSURF10 which gives 10MB of data and free access to Spotify for 1 day, while Postpaid subscribers can avail of GoSURF 299 with 700MB of data valid for 30 days plus free access to Spotify Premium. Register by dialing *143# and choose GoSURF or texting GOSURF to 8888. To know more about GoSURF and Spotify, visit www.globe.com.ph/surf/plan/gosurf.